Get Alembicated in your inbox! The Alembicated Genie by Sheila Eggenberger is licensed under a Creative Commons Attribution-NonCommercial-NoDerivs 3.0 Unported License. Based on a work at thealembicatedgenie.com. ©The Alembicated Genie, 2011- 2019. Unauthorized use and/or duplication of this material without express and written permission from this blog’s author and/or owner is strictly prohibited. Excerpts and links may be used, provided that full and clear credit is given to The Alembicated Genie with appropriate and specific direction to the original content. Quantum Demonology – My novel, out now! Perfume is a definition, a mood and a statement of intent. Here’s a little thought experiment for you. Say…you are a painter. You are a painter who makes thousands of colors glow on a canvas, colors that emphasize, colors that delineate form and depth and story, colors that glow in the dark. It is your use of color that distinguishes you as a painter, color that has established your reputation, color…that sells your canvases. Or…you are a musician. For years, you have created beautiful, haunting melodies, glorious soaring choruses, the music of the galactic spheres, even – all contained within the eight black-and-white octaves on your piano keyboard. Maybe, like me, you are a writer, conjuring up empires of the mind in that harrowing space between your fingers and the keyboard, pulling emotions out of your readers’ minds, messing with their heads as you sing your Scherezade tales. Now, imagine…the painter being told that nothing but coal tar based paints will be available in future. Henceforward, there shall be no more lapis blue, no more malachite green, no more rose madder or carmine red. The replacement paints are all garish, rather over-loud and obvious, with none of the tonal qualities of those natural hues. There’s no choice in the matter, simply that if these artificial colors aren’t used, that painter will not be able to paint at all. The composer has been told that instead of eight octaves produced by hammers striking the strings across a richly resonant box, he or she will be limited to, say, five octaves produced electronically, with a MIDI keyboard and sound module. The writer, used to the full register of a very large vocabulary, will from now on only be allowed to use words less than four syllables long, words with Anglo-Saxon origins, words a fourth-grader can understand, even if the writer has never written for children, but for adults who appreciate the opulence of the English language. Does this sound a bit Orwellian? Too many totalitarian overtones? Surely, it’s a joke, right? No. Because this is what the IFRA wants to do to the perfumer’s art, has, in fact, already done. Say you have a classic favorite, Mitsouko, maybe, or Cabochard (one of mine), or in these dark November days, Magie Noire. All three of these timeless scents have been changed beyond recognition, and the sad thing is, the average consumer is none the wiser, because, so the official story goes, many of the natural essences and notes can be sensitizing to certain people, some of them are photo-sensitive, others can be allergenic. That’s the IFRA’s story and they’re sticking to it. Of course, it’s not even a half-truth, because the truth is even more shocking. There are scores of self-regulating research companies who have a heavily vested interest in marketing their synthetic substances – which may or may not be ‘chemically’ identical to a ‘banned’ resin/absolute/essential oil – right into the pockets of the few international companies thaty create the vast majority of the world’s perfumes, down to and including bath products, dish soap and laundry detergents. Have you strolled through a department store perfume department lately? Did you happen to notice just how similar everything smells? Sure, there are marketing trends and fashionable themes in perfumery. There was…the Year of the Iris, the Rose, the White Musk, the Wood…(one of this year’s main themes). But they’re all a bit of the same…bland uniformity, the same fruity/floral/woody/wimpy generic…fumes, most of them targeted to a demographic you, alas, are too old and too jaded to belong to. Too old, because you remember those days when perfumes were glorious, gorgeous extensions of your presence, your New & Improved You But Better. When they had depth and complexity, nuance and color. Before they were killed off by the dreaded ‘reformulation’. If the IFRA has its wily way, many of the substances – used in perfumes, incense and aromatherapy for thousands of years – on the list (see the full list under Pages and the heading ‘Outlawed and Dangerous?’) will be gone forever, many natural source suppliers will go out of business, and those chemical supply companies will be laughing all the way to the bank, trundling up any amount of dubious ‘proof’ that their formulas are ‘safer’ and ‘less allergenic’ – if they don’t just subscribe to the usual marketing ‘Because We Say So’ Humpty Dumpty school of logic. Maybe, and maybe not. There will always be perfume sensitive people, and I do believe a certain degree of consideration is only polite. Having said that, they have the option to avoid scented products if they need to, just as I would like the option of deciding for myself whether or not I should brave, say, the Big Bad Oakmoss Wolf should I choose. Just put it on the label, and trust me to make my own decisions and take the responsibility for them. But all hope is not lost – for now, we have…natural perfumes, made of natural substances, often solely from that ‘forbidden’ list, that fly in the face of those restrictions and reformulations and darn it, dare to create glorious, outlaw statements in rose absolute and neroli concrete, in oakmoss and labdanum, to name a few. All declaring their intentions and their contents right there, on packaging and on their websites, all of them made by hand and with love and very much care, all of these natural, artisanal perfumers very much aware of the outlaw potential in these perfumes – made as they used to be made, with the materials we all know and love, made as even today they still are. Perfumistas and perfumolics, too, are getting behind them, reviewing them with all the care and attention we give to other perfumes with far larger marketing budgets – because we, too, don’t care to conform, because we care about perfume, because we care about a future that would infinitely diminished without the natural beauty in flowers and resins and plants that inspired perfume making – five thousand years ago, five minutes ago, and thanks to perfume outlaws such as these, five years from now. 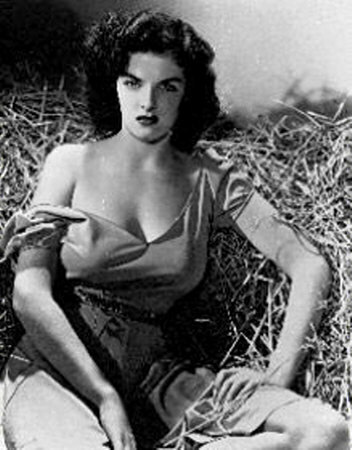 Photo: Jane Russell in Howard Hughes’ ‘The Outlaw’ (1943), looking several shades of trouble and very much outside the law! Not Quite 20 Questions…on smell! Here are my answers…what are yours? Q: What does your sense of smell mean to you? A: Smell is a way of defining and explaining the world without words, it can manifest a presence, define a mood, an ambience, a state of mind. I have a terrible time imagining a world without smell, because smell centers and deepens so many other sensory impressions – sight and sound, taste and touch. It does it in a way we have a hard time explaining or rationalizing, because the brain’s olfactory center bypasses the verbal areas to head straight for emotion – and few things are so evocative of emotion as smell. Q: What are some of your strongest scent memories? A: The smell of wild oregano, which always reminds me of Greece in the summer, the heat radiating off the earth and vibrating with that pungent, heady scent. 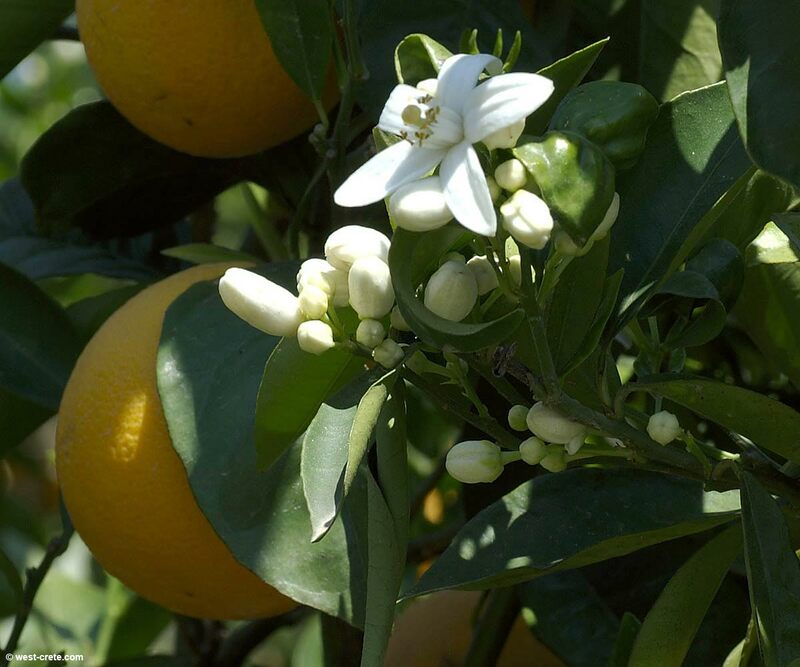 A blooming orange grove, or any blooming citrus trees. The way that cinnamon smelled in a Moroccan souk, like nothing on Earth. The frankincense they burn in Greek Orthodox Sunday services, which I experienced once and never forgot. The smell of a beech forest in May, right after the leaves have all burst out. Poplar buds. Apple blossom. Chocolate. Pine trees, especially those vanilla-scented pines called ponderosas in New Mexico. Vanilla. It makes a long list! Q: Do you have any favorite smells that are considered strange? A: Horse stables. I used to ride a lot, and that smell is associated with some of my happiest memories. I love the smells of leather and suede. A lover’s armpit in certain situations. When my son leaps into my arms in the morning and I bury my nose in his neck and smell sleep and dreams, I love that, too. The smell of my cats, asleep in a sunny windowsill. Tar and the gasoline smell of old cars. The leathery smell of new, expensive cars. Q: What fragrances remind you of the places you visited on vacation? A: That Greek oregano. A friend recently returned from Athens and brought me a bunch. All I have to do is sniff the bag and I’m there. Cinnamon – not the cassia cinnamon you usually find, but the Ceylon cinnamon I first smelled in a souk in Casablanca – which was heaven on Earth. Roasting chiles, sage, sweetgrass, burning mesquite wood and ponderosa pines all remind me of my years in New Mexico, as do the blooming daturas I found in the courtyard of the Georgia O’Keeffe museum in Santa Fe. She called them jimsonweed. I call them otherworldly, on canvas and in real life. A: Q: Describe one or more of your favorite cooking smells. A: My tomato sauce, bubbling away for hours. Baking cinnamon pastries, or bread. Or cake. Any cake I make. Homemade curries, bubbling on a stove or in a wok, Thai or Indian, Punjabi or Keralan – I love them all! Q: What smells do you most dislike? A: Bad breath. Smelly feet. Cheap, low-grade musk and patchouli oil makes my stomach turn. (Although not the good stuff!). I’m not big on litterboxes, and I own three cats! Certain perfumes make me turn green, but thankfully, they seem to have gone extinct in the Eighties, among them Giorgio! And Giorgio!Red, except for Angel, which hasn’t, alas. Certain kinds of plastic. Lovers who are not-quite-so…beloved! Q: What smell did you first dislike, but learned to love? A: Patchouli, which I thought was horrible, until I found how good it can be. Labdanum, which I smelled in Greece in the wild for the first time, was a shock – all goat! All the time! – until one day, it wasn’t. Q: What mundane smells inspire you? A: Lemons or any citrus fruit, the scent of my rose geranium plant, the scent of leaves and mold and fallen apples on an autumn day, the scent of flowers and green in spring, the heady aroma of elderflowers in midsummer. Q: What scent never fails to take you back in time and why? A: Jicky and Miss Dior take me back to Paris, where my mother took me when I was 14. And because they were the first two perfumes I picked for my new, almost-woman self! Q: What scents do you associate with memories of loved ones? Q: What fragrances remind you of growing up? A: Coppertone suntan lotion, Seventies Clairol Herbal Essences (the one with the flowery earth Goddess on the bottle with the emerald green shampoo), Mr. Bubbles (I forgot that one! ), Bazooka Joe bubble gum, Je Reviens and Blue Grass, because my grandmother loved them. A: Charlie! Makes me feel about 16 all over again, Jicky and (vintage) Miss Dior. Strawberry scented/flavored sticky lip gloss that everyone used in my teens, Magie Noire, Paloma Picasso and Cabochard remind me of certain men in my life (in a good way! ), Chanel no. 19 of the subversive (if fragrant) punk I once was! Q: Describe a piece of sensory literature that is very magical for you. -from ‘Henry and June’ by Anaïs Nin.